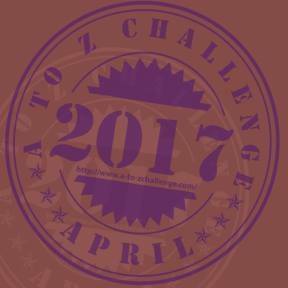 Lloyd of Gamebooks: Pre order Destiny Quest today and win great prizes! Pre order Destiny Quest today and win great prizes! Destiny Quest, Legion of Shadow is is coming! I know it already has, but this time it is even BETTER (and that's no mean feat) as it incorporates the web material and contains a bonus quest into an already hefty epic. So this means that it will be even more wonderful than what reviews have said about it. And as if the bonus material is not enough, Michael J. Ward is giving away wonderful collectable bookmarks if you pre-order a hardback book and then email him with proof that you have done so (at dqoffers@gmail.com). Now that's a great deal. You get a better deal if you buy a hardback book - when you email proof that you ordered the book, you get to choose whether your two bookmarks (edit) is one are of light or shadow and if you send him proof that you also ordered the previous Matador edition of the Legion of Shadow, you will also be entitled to win a free Gollancz book. If you order the paperback version, you get a random bookmark. For more details, go here. With a picture like this on the cover why wouldn't want to get a nice big collectable hardback? Maybe you know a Destiny Quest fan? A hardback edition of the book will make an excellent present. If you're in need of a reminder, there are several reviews that say just how great Destiny Quest is from Andrew Wright, Billiam Babble, Zhu, Scott Malthouse and myself. 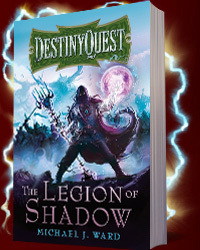 So go over to Amazon and pre order a hardback copy Destiny Quest: Legion of Shadow and get free goodies to go with it. Then email dqoffers@gmail.com with proof that you have made your purchase (go here for details). 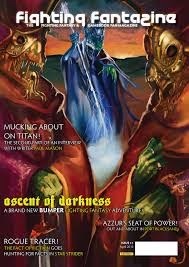 So go over to Amazon and pre order a hardback copy Destiny Quest: Legion of Shadow and get free goodies to go with it. Cheers for the awesome support Stuart! Just a minor correction - those who pre-order the hardback get 'two' bookmarks (related to their chosen path). If you're thinking bookmarks are a bit naff, trust me - these have been co-designed by Paul Cheshire (the guy who did the DQ site) and the Gollancz design team, so they look very cool indeed! Thanks Michael! I have changed the post.